MyProperty Namibia tips to sell your property online, quicker! We get asked on a regular basis to list new properties and thought it will be good idea to share a few useful tips & tricks that will help you sell your property online, quicker! The first and most important step to take, is to find the right estate agent to market your property for you online. 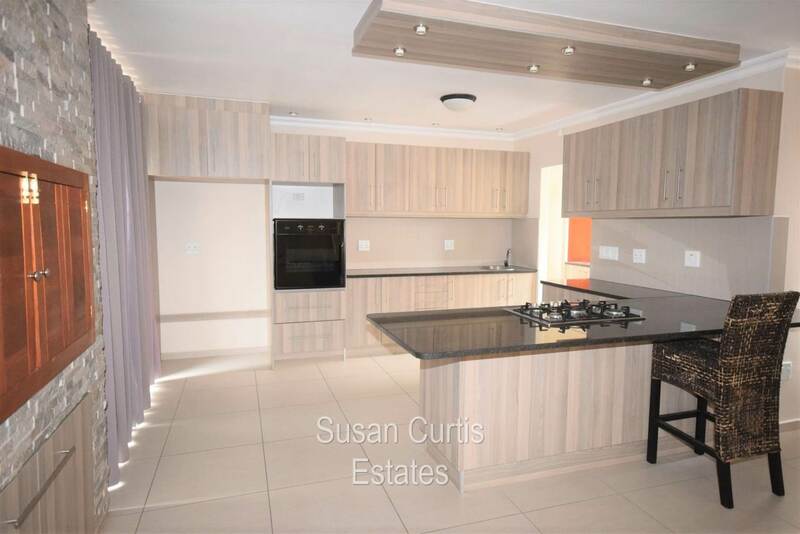 On the MyProperty Namibia portal, we list properties from over 60 different Realtor agencies in Namibia. It is as easy as going to Find an Estate Agent and type in the area your property is in. You will see a list of reputable estates agents, who can sell your property on your behalf online. 2. Make sure your photos looks great! 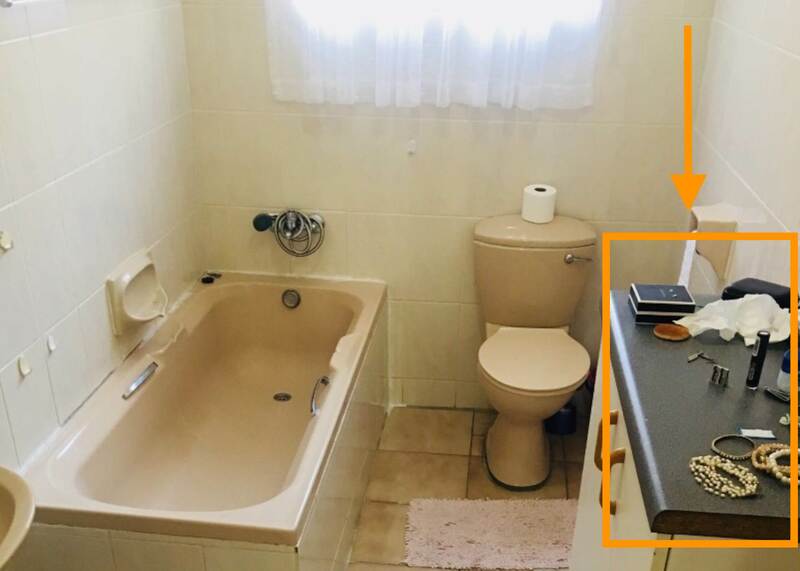 The estate agent usually come to the home and take photos to compile a photographical impression of what the house looks like. Remember, people first shop with their eyes, thereafter they will show interest and only then will they visit the property for a viewing. So, prepare your home for the agent, to help them take neat, inviting and homely pictures. 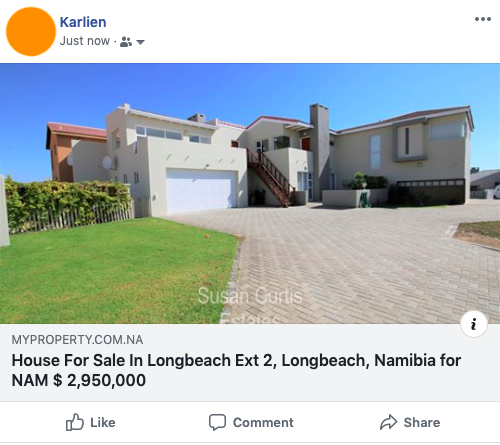 You can share your property that’s listed on MyProperty Namibia to your social media channels. Simply go to your property listing online and in the top left corner is a button to SHARE. Now, you can share it to your own Facebook wall, Tweet about it, share the exact link to your WhatsApp contacts, post it on Linkedin or even email it to someone directly. By sharing your online listing, you expand the reach of people that could view your house and increase your odds of selling quicker. We all have reasons we love our homes, that’s why we bought them, but tell potential buyers about these features. Tell them about the “Entertainer’s dream kitchen” or the “Beautiful sparkling lap pool”, you might have gotten used to seeing them, but everyone who walks into your house sees it for the first time, and they want to imagine themselves living there. Whether it is the beautifully manicured lawn outside that will impress potential buyers, or the cleanliness of the kitchen, make an effort to leave an impression inside and outside of your home. Bake some cookies and let the smell of scrumptious cookies fill the house. It might just be the difference in hanging the SOLD sign within a week or two outside your house or having to wait two or three months before it is SOLD. Go on, find your ideal estate agent today today on MyProperty Namibia!